Are you beginning to wish you could unsee the future? Is it, essentially, all becoming a little unavoidably too much? Leaving a rather disturbing blurry after image. Because, frankly, I think so – as we tend to hear about it. Which is why I want to jovially say, it’s time we started coming to our senses. Nice cup of tea? I’ll have my robot manservant make it just the way it already knows you like it. Kidding. Your twitch is back. Is it about bleedin’ time we tried to put it all together? All of it? What it will take to build an actually sustainable, human-planet future. A more hopeful human tomorrow? Is such a thing possible – and where the space do we start? In the last couple of years, I’ve been working on a project. Something that’s brought together everything I personally do as a creative and a music maker, and essentally gotten me more excited than anything else I’ve worked on, as I attempt to explore the different shapes it could take. A project all about the future and humans and how likely it is we are going to muck up absolutely everything very badly indeed. You see? Exciting. And obviously perfectly suited to a flippant-looking fop making daft little tunes in a shed. ..Hi. Especially when you consider that beginning to research this project gingerly has unearthed the creeping sensation in me that things are globally rather worse than we even think. Biscuit? Yes, you may have the Jammy Dodger. So I want to try to put it all together. Piece by piece, you and me. Because beginning my own personal odyssey into the future, taking some professional time from Momo this year to do so as seriously as I am capable of being serious, my project has changed the way I see the world. By pulling together lots of latent parts of me and my imagination that were already there, and focussing them in a new way. And it has, indeed, gotten me all worked up – about how serious are the challenges facing billions of ordinary lives around Earth at this point in time, and about the scale of the possibilities also here right now. Before I let in everyone on the art project itself, and show how I’m hoping to interpret all this creatively, I want to get there on a new road. Symbolic for a turning point in my own life, but also something notionally I feel needed for my society. For you and me, caught up in all this howling madness. To see how much we are already sensing about what’s going on around us; where we have a good hunch and where we may be being gullible fatheads. I mean, I speak for myself there first, of course. Leading by example. I’m going to begin to regularly explore futurism issues in a new monthly blog-pod post in the Momo:memos – Unsee The Future: how to encourage the more hopeful human tomorrow. And leading towards various revelations about my wider projects over the next six months, I’m going to use the first season of Unsee The Future to have a first gander around what may be the component parts of a complete, global, sustainable future. Because I wanna goddam know… what will it take to really build utopia? Or is the very word a shibboleth for naiivity? Is utopian thinking not just out of vogue, but a sign of being out of one’s right mind? The world is slipping over the edge, isn’t it? And that’s before we get to all the stuff that isn’t even talked about properly – the climate crisis, the slow collapse of Western economics, the looming crop yield disaster, the rapid erosion of species and fertility across the planet’s ecosystem, the true cultural sickness producing the symptoms of a mental health and addiction pandemic. Is it, essentially, impossible to look at all this through the quaintly entertaining goggles of Momo? Well, I can’t take them off, so let’s find out. I’m going to look at 18 chapters of things to tackle – take a deep breath – that could together put everything on a rather better course. I’m going to take a look at the UN’s grand To Do list for the planet – it’s Global Goals – and use them as triggers to take a first look at what we’re really facing. And what’s really possible, as I begin to unearth it. Unsee The Future is me learning the language of the future as we go. Because I think it’s time we pieced together all the true bits and frame a proper creative brief for human kind. Also because, apparently, I am blissfully ignorant of just how hard this is going to be, and imagine we can get our heads around it. But getting our heads around it is the absolute key thing. And so it’s worth starting with a fundamental change unfolding around us that is about to give us millions of practical headaches while perhaps pointing metaphorically towards something of the answer. The beginning direction of living out a better answer, at least. For what is unfolding around us, we poor unprepared saps, is the decoupling of intelligence from consciousness. I’ve often said. Like I’m any authority. Technology always finds its level. And that level is always, in the end, human. Vinyl. Wood. Paper. Tape. Plastics. Velour. They were all touted as cutting edge technology in their day and then hailed as anachronistic and buryable. And yet, there’s something just so… futury about velour. I want a suit made of it. I could probably be my own microgen system if I hooked up batteries to it while walking about, I hear it’s quite static-y. They each play various kinds of important roles in how we live today. But as choice has opened up in materials, the free market of fashion and feel has shown what we most like to use for various things. The vinyl 12″ LP was pronounced dead with CDs and then had the headstone removed and a housing estate built on its grave with the proud emergence of the farty but shareable MP3 file format for music. And yet… where is the romantic mood setting of streaming with shouty radio ads popping up randomly because you don’t want to pay to subscribe to Spotify. And why would you? Home taping wasn’t killing music, it was helping foster love between fans, who would later lovingly buy vinyl reissues of their favourite bootlegs at exorbitant short run superfan costs. Because flipping a record and carefully dropping the needle into the crackle of contact is just… yummy. Because it’s our feelings that make us human. Right? And, in the end, this champions our good and our apex ape chest-beating glory, no? Well hold that thought. Because what the hell will a digital economy need feelings for? I am an artist. Of sorts. However good my actual work may be, I instinctively trade and live almost completely on feelings. Instinct. Reaching into the ether and pronouncing wise sounding poetic phrases like a mystic. Wherever I feel an audience will buy it. So I think emotions are the essential stuff to plan around always in anything. Anything, that is, to do with humans. But what if we didn’t need them – humans, or feelings – to do most of the things we currently do to pay for everything? What if a form of intelligence could outpace us in all the ways that matter without ever having to form a winning personality at digital networking dos? What if AI – a boringly mis-used phrase from its original science fiction sense – is actually boringly well named? And represents the awful, soulless mundanity that will reduce humans to the equivalent of neanderthals – the thick-foreheaded slighty rubbishier model that couldn’t keep up. What if most of society’s paid roles were essentially just calculating jobs? How do you think you would measure up to a, er, calculator? You with your ‘tea breaks’ and ‘fag breaks’ and ‘loo breaks’ and ‘watercooler moments’ and ‘loo breaks’ and ‘lunch breaks’ and ‘nipping off to pick up the kids’ and ‘hopes and daydreams and yearning for ‘love’ ‘? You hopeless idiot. Pulling levers and moving things and driving things and working out things like you’re a robot. Bless you. Well, you can keep the cardboard box on your head, but you might want to take more care of it for when you will inevitably need to COLLECT UP ALL YOUR DESK JUNK AND JUST GO, STEVE. Because, over the next 20 years, you are probably almost certainly going to prove that an actual you can’t do your job better than a bot you. However nice your tea. We know about the looming autonomy challenge – driverless cars, trucks, trains. One of the local bus companies to me, owned by Transdev, might have good reason to currentlly still advertise a life on the open road, enjoying the romance of travel for a living, but its drivers aren’t exactly guarranteed a job for life, if y’knowhatImean. 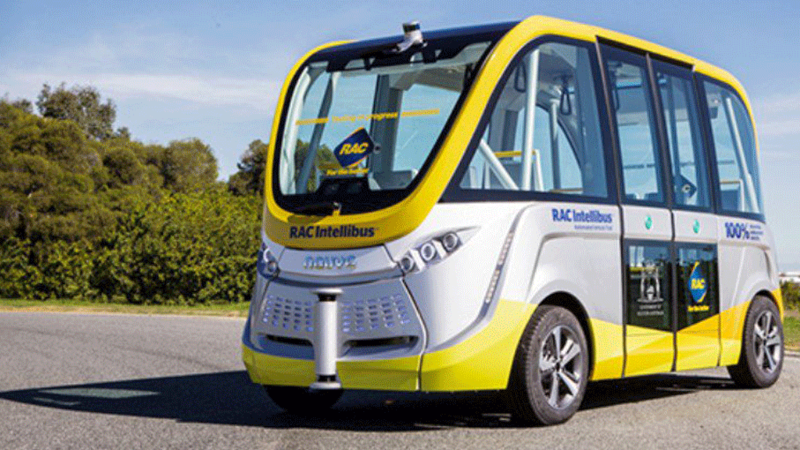 For the autodriving bus is already here, and while you may snigger at the wobbly airport suitcase look of the Intellibus, it has been testing a proof of concept in Australia for over a year. And as Max Opray quotes Dr Peter Harrop, chairman of research company IDTechEx, in a slightly sniffy Guardian article “The driverless autonomous bus will be popular, with no user pushback because we readily [and] happily climb into driverless trains at airports already – even driverless pods at Heathrow Airport [in] London where that technology is now being upgraded to create free-running autonomous buses”. So it’s not like the bots can’t already manage to get us about or that we don’t already trust them to do it. Transdev happen to be among the public transport giants banking on the idea, with their prediction of the sector being Personalised Autonomous Connected Electric, so my lifelong English tradition of hopping off a Bournemouth Yellow Bus with a cheery ‘Thanks, mate’ will easily look silly by the time I’m applying for my buspass. There will be no mate. And perhaps this is good, of course. As Duncan Greere points out in this little Tech Radar article on vehicle autonomy, humans aren’t great at driving, as a rule. “You, personally, might be a great driver, but humans as a whole are terrible. So terrible that more than 35,000 people died on US roads alone last year as a result of mistakes that we made.” Letting the robots take the wheel will save a lot of human lives. While the integrated issues that are intertwingling around future transport alone are actually more than a little intriguing, the point here is simply that humans will stop doing things as mundane as taking abuse and incorrect change from snotty schoolkids in traffic jams for a living. This much, you’ve already begun to know. But reeeeally… you think your job is safe, right? Well, think about it. How many jobs are really just number crunching – yeses and nos? From Smacc’s accounting bot, to Wordsmith’s replacement journalist, to Tally’s supermarket shelf-stacking, sort of, generating numbers and words is already not hard for AIs today. Then there is the creep into the creative worlds of web design, as Wired outlines here, and even… dare I admit it, music. Launched only in the last weeks, Pixel Records is an experiment by developers Boiler Room and the Google Magenta project to generate original electronica from public voice submissions. And I sort of quickly forgot to turn it off, so kind of natural to the kind of thing I have tootling away in the background here in the studio were the bot-jamming results. Will we be second class citizens of the automated economy? Or will it free us to realise ourselves? Getting into the WTFs of this Too Big To Think About impending bit of the future is another article. My point here is one summed up by Noah Yuval Harrari – for the first time in Earth’s history, the most effective intelligence on Earth will not have consciousness. I know. You think it hasn’t been fully conscious for years. But while humans are falling asleep at dumb jobs they don’t really like doing, just to repetitively keep the economy stoked, with its levers pulled and boilers shovelled and bins emptied, robots are doing it stupidly better. Without having to worry about leaving the kids standing in the playground after everyone else has been picked up. Regardless of the technology, it is a principle as old as capitalism – it is meant to make things ever more efficient to produce, and so cheaper. What these rapidly auto-adjusting free markets always lumbered around sort of just about dispassionately doing at the same time, up until now, was continue to open up ‘new markets’ of things for humans to find employment doing, once their old job had been superceded by efficiency tech. Robots are finally threatening to come out of the assembly line and start doing absolutely everything else. Which means… what the hell will we do? And will the robots pay us to be squelchy, moody, fleshy pets? Or, tucked away in this impending global revolution that threatens to put us all against the wall, as it were, ..is there a principle that might help us finally escape the BS machine job in a box to begin to reveal who we really are? I’m not talking finding the courage to finally do the Sainsbury’s shop dressed like you dress at the monthly club – though it’s high time you did – or about turning your weekend detectoring full time, super as this would be. I’m talking about the possibility that losing the BS job might help you truly get conscious. And that getting truly conscious might be the most valuable thing our species could do right now to save itself. I know, I just heard it. Forget jobs, man – let’s get conscious! But bear with me, my favourite economist. There is an entire philosophical ecosystem out there considering what a ‘new’ economy, or rather ‘economies’, might look like. How to run the world for people, once all the issues of futurism really collide. And this is part of the kind of thing I am and will be exploring as Unsee The Future unfolds. Suffice to say here, the principle is simply this: We need to start looking at things differently. Everything. Fundamentally differently. But we get there by conscious, inclusive nudges forward. Not hellfire preach and overnight burning of the ‘old’ order’s parliament buildings. The closely intersecting worlds of the economist, the financial advisor, the politician, the corporation CEO – the people, mostly men, who most influence the world – is no different to the world you live in. I live in. We all live in. It is full of personal human needs and it is, in the end… a story. A story they, you, me, we think we are in. And as any economist will tell you, every story in the end is an economic one; ultimately every code we live by, plan around, work towards, has value implications. How will we pay for it? How will we maintain it? Why are we bothering? Is there something more valuable we could do than it? Did anyone even THINK how hard it would be to heat a castle once the siege is over and everyone’s left to start cloth merchant import start-ups in the city? It’s something I hadn’t ever thought about before this project lead me to go looking, rather unexpectedly – what is the story we think we are in? And what does that story make us value – and how? This dawning on me essentially dropped a new perspective into place in my silly head. One that’s lead me personally to want to join up all the things I do into a more cohesive response to, well, being here now. I know you already had this in place. It’s called integrity. I realise I should try to work up some of this. Perhaps I’m finally faulteringly attempting to. But a very important question for any of us to consider is: What most inspires my personal integrity? What most deserves it? How does what I think I should believe match with what I behaviourally evidentally do believe? And how does this affect my place on the planet? ..Wow. So we’ve gone there, have we? Well, courage, mon brave. Cod Philosophy Corner has comfy bean bags and some rather good books, and it is, looking around us, patently an historic moment to take time out. Time out to ask awkward questions. Time out to talk. Maybe awkwardly. But do more than shout in caps on message boards and feel a lot of things without, well… hope. There are very brutally practical challenges ahead, to build an inclusive, sustainable, hopeful human future. But this has always been human life on Earth – we’re not addressing most of the fundamental challenges around us today, as things are. The impending sense of ‘singularity’ – change accelerating towards everything into a massive cultural collision – may be useful in helping us… what? Dealing with automation’s vast remapping of the workplace will involve changing the way we see the workplace. But more than this, which has happened plenty over the last two centuries, it will have to involve changing how we see the very nature, practice and purpose of economy. Of what we value. And THIS is very actually the stuff of philosphy. Of storytelling. Financial profit may increasingly not need consciousnes. Humans. Bots kind of run the stock markets already. But so long as humans stare at algorithmic behaviour for a living, lost in the matrix of data, are they playing to their real strengths? Or just becoming second rate bots? Robots. Robota – slaves. Now. Big data isn’t anywhere near as big as it’s going to get. The Internet Of Things – the IOT, so you can drop a vaguely futury acronym into a tweet there – where your fridge tells Google everything you put in it and haven’t cleaned out of it, isn’t simply horribly sinister sounding or likely to put a blood vessel-popping strain on your rubbishy WIFI. It’s also going to give us so much information – metrics, feedback, stuff we can analyse – it is likely to be a goldmine of awareness for human behaviour. But my feeling as I begin my process of trying to Unsee The Future we are expecting is that if all we do is use this new tech to try to do the old things faster – finding niche audiences more efficiently to sell them more, albeit niche, crap – we are not going to change anything that matters. And we are not going to seize an appreciably good future for ourselves. That utopian hope just sounds fatuous doesn’t it, next to that? Humans just won’t do systematically what is good for them. They will always do what’s easy. That’s the future we honestly see. Interesting, though. As Doctor Richard Clay’s recent BBC TV series explored, it seems humans have as much an instinct to search for the dream of Utopia as they do to saciate easy greed. Gordon Gecko isn’t the whole truth. He’s a morality tale we are fearsomly drawn to – why? I’ve come to think the story we think we’re in is at best incomplete, but actually complicatedly misleading. Go on – a lie. One we’ve spun so richly because, like the best myths, it’s built around lots of appreciable truths. Which means we currently have all the likely momentum to just keep doing business as usual and find no cultural ways to change the trajectory of our living for the better. The healthier. The genuinely wealthier, where everyone gets pie and the pie doesn’t run out. But we can. And now is the broad moment to do so. That’s my starting point. The revolution of decoupling consciousness from intelligence might be a big node point for future historians. 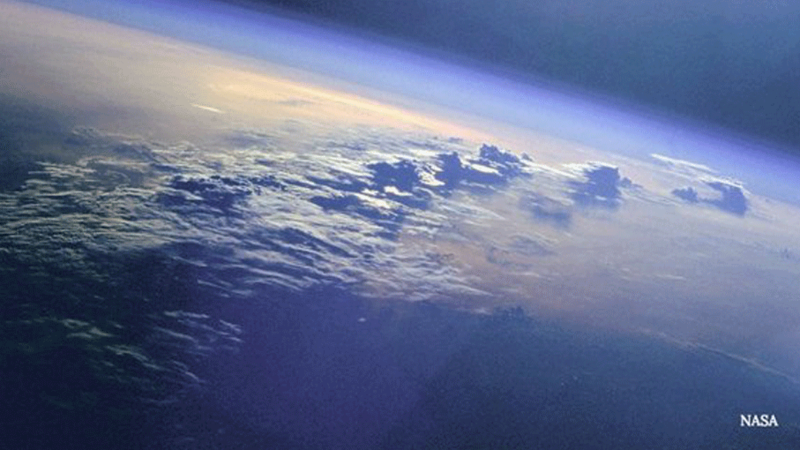 A radical shift in the human-planet system. But for you and me, it won’t all happen at once, and it won’t be black and white. It could be a lot more interesting and, y’know, human. For one thing, our relationship with robots has never been purely adversarial, but complicated. Not least because we have always designed them in some aspect of our own image – which means, like a baby with a mirror, we are always fascinated by them. And Joey, like all robotic humanoids, androids, chat bots, automation systems and AIs has no self awareness in the conscious sense. Arguably, at first glance he still hits the Uncanny Valley trigger of seeming so close to human he is creepily Other. Yet we are very primed to anthropromorphise and wed ourselves emotionally – because, as we’ve seen, this is what we’ve evolved to do. So our explorations of robot-human relationships – from Asimov’s formative Robot writings, to Bladerunner, to She, to Robot and Frank, to Ex Machina to Lieutenant Commander Data himself – are not silly hypotheticals. What we learn from these stories we learn about ourselves, and how to manage our relationships emotionally. And we’re likely to simply enjoy much of it. Is it any wonder we can already check into a hotel run almost completely by robots? As futurist Tracey Follows says in her interview with Virgin, we are soon going to be having more chats with bots than with those we live with. But part of the work shift will be what’s already happening – a decoupling of work from geography. And that’s interesting. Because, while we will in a sense be removing ourselves even further from the physical landscape that always shaped human outlook, into a more detached conceptual space in our heads – Skyping our teams together around the world – it might begin to have a much needed almost opposite co-effect. Making ordinary people crave physical landscape and a relationship with it. If the 20th century economic story put us all into boxes – quantifiable units – the 21st is in some ways opening them. Borders we used to bank on are simply disappearing and we are in many ways getting to draw our own lines wherever we please. As she then says, these are like two co-existing systems, currently. But one will likely dominate in the coming years. And I think it’s interesting what has come out of the beginning of this digital, Networked Human quiet revolution’s early practices – Hipsterism. The desperate need for authenticity. For the things we buy and use and the businesses we put our time and efforts into to have… a good story. Not robot mass-produced and Ad Land-spun brand pish, but a connection to something. Something human. The land. The farmer him or herself. The person who crafted the thing. Where the materials came from that it’s made from. As we approach the second quarter of the 21st century, wood and hemp and fabric and vinyl and ‘vintage’ style are absolutely everywhere in interior design, retail and recreation. And ‘work for good’ is so tragically missing in our old cultural story that it is now an actual Thing in business talk among the young – the need to say out loud that they need this. All at the same time we swipe and selfie and chat to bots and search algorithms for services, for people, for love. For identity. It is my conviction that the most abundant, hopeful future will be inclusive, first and foremost. A network – not a hierarchy of old blokes sitting on perches, but a place where there is simply no keeping the real identity of anyone in a box. The cultural, sexual and economic freeing of us from the jobs of robots could drive us back to the land and to, as The Association of Sustainability Practitioners might put it, the need to plunge our fingers into the soil. Not necessarily to toil. But to… be. What we feel we really are. Most of us, all around the world, just don’t see this happening. We are a long way from spreading new economic life into the rusting towns of the US and UK left empty of vision as the economic tide went out. Of removing the fear of violence or repression in our true identities. Yet, in so many ways around us, all over the place, the more sustainable human instinct is manifesting itself. Like flowers in the scrapyard. It may bloom into a four-day week in some more corporate places in coming years. It will produce even more start-ups of people who want to work their own way. ‘Work-life balance’ is so normal a phrase in business we feel guilty we still don’t practice it. I have lost count of how many people I’ve met during the last year who traded a good job for a good life, earning a little less. Having more flexibility because they were frankly ‘desperate’ to live better. Have you heard more talk openly of a new interest in turning vegetarian – or even vegan? More people wanting to grow a little of their own food; the resurgance of fervent allotmenteering. And all these little practices are gradually creating a more connected sense of where our materials come from and where our waste goes. And we will simply feel… freer, for it. So. How do we encourage this? You and me? The purpose of Unsee The Future for me is to begin with doing something I think is the essential first step for every one of us, facing the future. Putting it all together in our minds – actually facing what’s happening, and what’s needed. And the UN’s Global Goals is as good a loose framework as any to start with, simply as a connected series of topic starters, pondering what many people have already been thinking about. Except, as this series unfolds you will discover that I think there is a profound item missing from this entire concept. The one that catalyses all the others. The one that is most missing from all the symptoms of our thinking leading us towards unprecidented disaster – art. The exploration of honest expression. The encouragement to see the world differently. To write new stories of who we are. Unless we do this first, we do perhaps nothing effective. Let’s start to piece it all together and unsee the old future. Starting with the biggest topic of all. NEXT TIME, UNSEE THE FUTURE ep2: CLIMATE. Behave New World is out – and launches Momo’s mesianic quest to piece together the whole freaking future.